BIG BLUE WAVE: Is Unwanted Pregnancy Like Forced Kidney Donation? Is Unwanted Pregnancy Like Forced Kidney Donation? 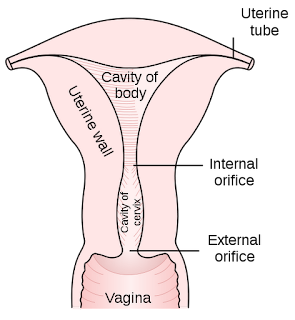 Once one looks at the function of the kidneys and the uterus, it is quite clear why the professor’s analogy does not have merit. The kidneys exist for the health and proper functioning of the body in which they reside. In other words, kidneys exist in a body, for that body. In contrast, the uterus exists in one body, to be around—and for—another body. The fact that a woman can live without her uterus but a fetus cannot shows that the uterus exists for the unborn child rather than for the mother. The unborn, as members of the human family then, must not be denied the environment that regularly waits in great expectation for them. Far from being viewed as an injustice, as an intrusion on one’s bodily rights, it should be viewed as a fulfillment of one’s purpose—the purpose both of the woman and of her body, including her uterus. While we cannot deny the difficult, even tragic, life circumstances that a pregnant woman may face, the life in her womb is not something to be destroyed. No human being is completely master of their own bodies. You didn't get to choose your body or your gender, or your characteristics. You didn't get to choose whether you owned a uterus or not. But just because you didn't get to choose it doesn't mean that's unfair. You are not entitled to choose that when you are created. You are not your own creation. But feminists hold that it's unfair that women have to carry the burden of a uterus, and men don't. They have a distorted sense of justice. They think it's not fair that men get to sleep around and (supposedly) never pay the price for their sexuality through their careers or education. And women can't. Just because you didn't choose a responsibility doesn't mean you don't have it. If we all could choose our responsibilities, there would be no law and no principles to bind society. Coercion and inculcated morals are a necessary part of any social fabric. If these do not exist, society will breakdown. And that's why the woman has a responsibility towards the life she created, even if she does not want to be pregnant. Her kidney is for herself. Her uterus is for the child when he or she is created.